Eyeing the state’s centennial, Colonel Richard Lieber and others helped organize the creation of McCormick’s Creek State Park in 1916, making it Indiana’s first state park. 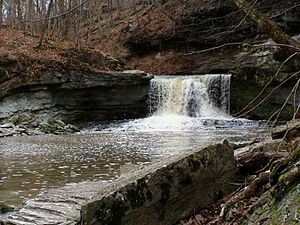 McCormick’s Creek earned its named from John McCormick, a Revolutionary War veteran who received the land in 1816 as payment for his service. Although John McCormick never lived here, his daughter and her husband Jesse Peden owned and farmed the land for many years. Visitors were drawn to this area of Indiana in the late 1800s by the unique geology exhibited in the park. Exposed throughout the park are three limestone outcroppings that spurred the beginning of a limestone quarry in 1878. This quarry would go to supply stone for the basement and foundation of the Capitol building in Indianapolis. Remains of this quarry can still be seen along one of the trails in the park. The beautiful environment, full of waterfalls and intriguing geologic formations, led to the creation of a sanitarium in 1880 by Dr. Fredrick Denkewalter. The therapeutic benefits of natural settings and healthy living, advocated by those involved with the sanitarium movement, fit ideally with this landscape. Park staff interpret both the stone foundation of the Peden barn and the restored springhouse. In the 1930s, the Civilian Conservation Corps (CCC) and the Works Project Administration (WPA) played important roles in developing the park’s infrastructure. The CCC's work included building trails, shelter houses, the stone arch bridge, and the front gatehouse. Later, the WPA constructed cabins, the amphitheater, falls stairway, and the tennis courts. The McCormick’s Creek Entrance and Gatehouse were listed on the National Register of Historic Places in 1993. 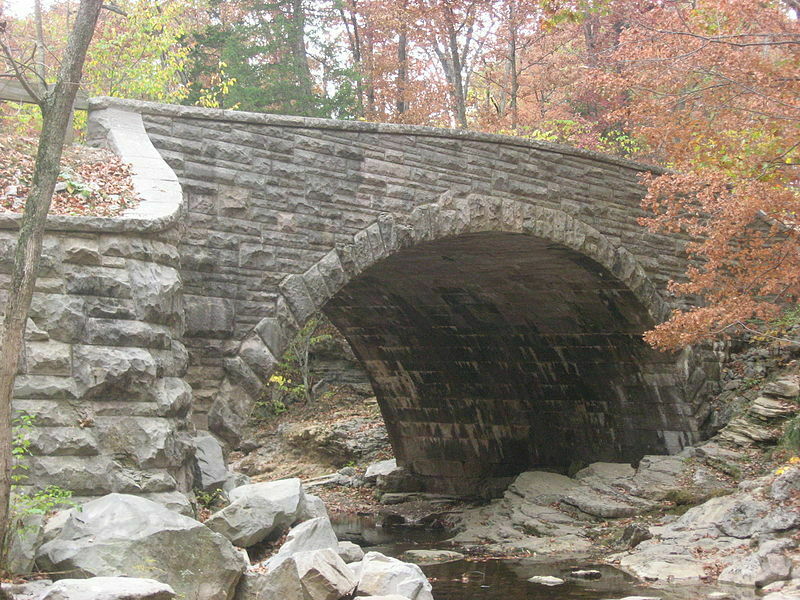 Indiana Division of Historic Preservation and Archaeology, “McCormick's Creek State Park,” Discover Indiana, accessed April 25, 2019, https://publichistory.iupui.edu/items/show/179. Published on Dec 13, 2017. Last updated on Apr 2, 2019.